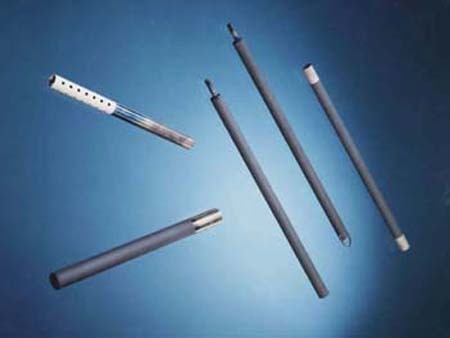 Standard Silicon Iron Anodes are generally produced with the following chemical composition, although client's own composition standard can be supplied upon receipt of details. The following sizes are available as standard and are usually available ex-stock. Other Sizes can be manufactured upon request. Anodes can be supplied with cables suited for the wide range of site conditions. Single and multicore conductors are available in the usual standard size range and cables can be supplied with armouring, where required. Soft Iron Anodes are suitable for use as Sacrificial Anodes for the protection of condensers and pumps in the Electricity Generation, Refineries, Petrochemical Plants and Shipping Industries. Also available for use in the manufacture of a wide variety of component parts of magnetic circuits carrying a direct flux. 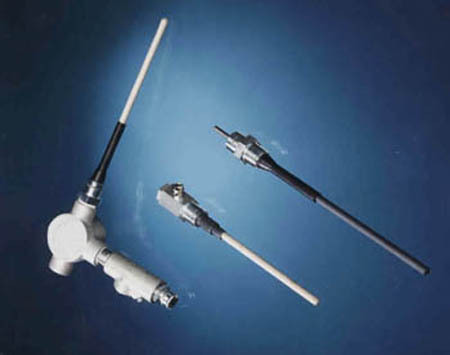 Plus many other applications in the Electrical and Electronic Industries. This specification can be maintained consistently from cast to cast. Heat treatment is necessary to guarantee specific electromagnetic properties if required. Aluminium Alloy Anode uses Indinum as an activator instead of Mercury as previously used. The most significant feature of Aluminium anode is its versatility; having a driving voltage of 300mV against protected steel and a capacity upto 2500 Ah/Kg. This anode is more tolerant of heat transfer conditions, and despite a significant loss of capacity, retains its driving voltage over a wide range of temperatures. Zinc is a well proven Anode material. Conventional Zinc Alloys for cathodic protection contain Aluminium and silicon to over come the effects of impurities, which are present in Zinc, in addition to cadmium which promotes uniform corrosion with non adherent corrision products. Anodes are produced in two grades of Magnesium ( -1.70 and -1.50 Volts with respect to Ag/AgCI) with the capacity of 1230 amp .hour. Kg. Anodes may be supplied bare or with rapid wetting backfil comprising Gypsum 75% Bentonite 20% and 5% Sodium Sulphate with cable. 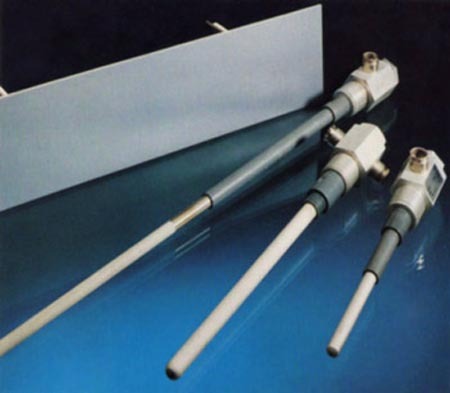 Magnesium Anode can be made available in any size upon request. An Oxidising film naturally passivates the titanium substrate; the Titanium remains dimensionally stable over time. Direct Current Transfer accomplished through Mixed Metal Oxide catalyst which is highly conductive and fully oxidized so that higher current outputs are possible. The mixed metal oxide is a crystalline, electrically conductive coating that activates the titanium or niobium substrate and enables it to function as an anode. This coating has an extremely low consumption rate, measured in terms of milligrams per year. As a result of this low consumption rate, the anode dimensions remain nearly constant during the life of the anode, providing constant levels of performance for the duration of the anode design life. Due to the ductility of the titanium substrate, wide ranges of anode shapes suitable to the structure to be protected are possible, such as wire, rod, tubular, disk and mesh configurations. Platinum, due to its high conductivity and low consumption rate, is an excellent anode. Platinum is made practical for use by electroplating a thin layer over a high corrosion resistance substrate; i.e. titanium or niobium.